My name is Lee Jong-suk. I was born on September 14, 1989. I am originally from Yong-in and I began to live on my own in Seoul since high school after entering a performing arts school. I am the eldest of two sons and one daughter. My brother is two years younger than me and my sister is four years younger.It is really funny when I think about how we used to fight slapping each other's heads. I'm very shy. I couldn't even raise my hand to do presentations in school.I'm usually the one who calls people up or visits them when I become close with someone. My father was strict only towards me. I think he was displeased with me because I am the eldest and I am quiet and timid compared to my siblings.It's not as bad as it was before but I still can't look over to the main room when my father is there because he is scary. There is nothing that I haven't learned to do when I was younger. I learned how to play the piano, do taekwondo, draw and play baduk [Korean chess]. I somewhat liked to play the piano but I was forced to take taekwondo lessons. I once got in a car accident on the way to taekwondo and I tore my cruciate ligament. I was glad thinking that I didn't have to go to taekwondo anymore but as soon as I was released from the hospital my father told me to go back. My brother ended up having to stay put and just study all the time because I got into a performing arts school without studying. I get all choked up and feel sorry towards my brother when he says "I haven't thought of anything else because I spent all my time studying." He would have been good in sports because he is taller than me (I'm 186 centimeters tall).He didn't do so well on his college entrance exam last year so he's studying to take them again.He's at an academy all the time and he comes home every once in a while so it feels like he's on leave from the military. I thought I was the only grown up when I was in high school. I also drew a line from my friends, telling them that they are still young, and didn't hang out with them.I really regret doing that.I don't have any friends in my phone book that that I can call up for a cup of coffee. I worked as a model for six years and my parents were extremely frustrated since its a job that doesn't involve that many TV appearances. I moved to Seoul on my own just to pursue my modeling career and there was a time when they [my parents] told me to just enter the military since I didn't have anything to show for what I have done. But they're really happy now. My skin is on the white side and in order to look manly, I tried tanning but it didn't work out.I just turned red. Lately, I have been working out and when I take off my clothes you can see my muscles pumped out but since my body is really white...you can't really tell. I went through a hard time last winter. I didn't meet any of my friends and just stayed home. I was accepted into an agency that was for actors but I didn't know what do because I didn't get a gig for three years. I just waited patiently. The synchronization rate between Yoon Sang-hyun and his character Oscar is 100%. His voice and reactions are rather loud and he is the best at creating an amicable atmosphere on set. I heard that he even went around asking who Sun is even before I started going to the set for shoots. I also keep getting caught up with Yoon's acting. Sun is someone who is quiet and will blurt out what he wants to say but I hadn't realized that my tone of voice was getting higher to become like Oscar's. Yoon advised me that I should speak more rudely and be less tense. I don't sing in "Secret Garden." The person who actually sings is new singer Lenny. Sun's singing skills has to be extraordinary for Oscar to be enamored by it so I had received singing lessons since my singing isn't that great. But you don't become an expert in a day so we had to use a voice over singer. Many people like Sun's singing ability so I'm worried on how viewers will respond when they find out about this. I took the college entrance exam this year. I haven't gotten my results back yet but I want to major in something related to movies. I haven't had much experience in theater or this genre and I am interested in acting in a movie later so I feel that majoring in movies rather than theater will be better. Whenever I go in for my acting lessons my teacher says "Oh, the star is here" and when I miss classes because of my busy schedule she jokes around saying "Oh, how busy must our star be to skip out on classes?" It is because of the popularity of "Secret Garden" and every time she does that I ask her to stop. I get stressed out about it because I know that I am not that popular right now. wow, he is sounds very honest. I hope to see more of him soon~! for a new comer i felt your acting was really good. As for the looks, i think you really look gay. so may be you should do something about it so that you get more roles in the future. good luck! He doesn't look gay. He is a perfect gentleman! i think he's really handsome n a good actor too...keep up da gud work n best of luck..he3!!! He is toooooooo sweet!!!!!! Really, really sweet and cute! Could you pretend something like that??? Pretend it that well??? I don't know, but I'm pretty sure that he is really talented. Keep on going!!!!! He is a great actor i would say.. As we can see he did put a lot of effort on each movie/drama he is casting. I'm impressed with him not because he's good looking but is the way he act in the drama and he did catch our attention on the way he act. To me he is not good looking but he is charming.. Keep it up.. Wish to see more drama and movie from him. Hi. I am from the Philippines. I've watched your drama Secret Garden. Though your appearance is not that much, I think you really did well. I also like the way you dress, very cool, especially your red Converse shoes. In this interview, I've felt your sincerity. Hope to see you in your future Kdramas to be aired here in the Philippines. And also, you don't look GAY, you are just too cute. Hi, I'm a new fan, actually I've seen Secret Garden two times but I really haven't noticed your presence there. I love all your drama & movies. Your personality & talent is exceptional & reading your interview here makes me feel so proud of you as a fan and as a parent :-) ( coz I'm a mom of 2 daughters same as your age). I admire your positive spirit & endurance. Now, not only 80 people notice & waiting to get your autograph :-). I wish I could get one too. Congrats & more power keep up the good work. And you don't look gay :-) you are very handsome, talented & unique. 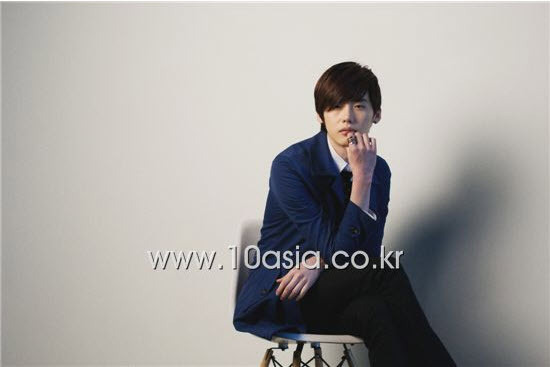 Lee Jong Suk is very a great actor.. i didn't think he is that shy after all his great movies. I saw his movie " I hear Your Voice" and guess what? i fall in love with him and i saw that movie more than 10 times. hahaha!! keep up the good work! by the way, im a filipino and i am no. 1 fan of yours.. i hope ill meet you soon in korea. SARANGHAE!! Keep fighting, Lee Jong Suk! I first noticed LJS while browsing through YouTube. He has unusual beauty about him. At first glance I thought he is just another flower boy emerging in the Korean entertainment business - and might probably soon enough will fade as other flower boys will took over. But I soon realized I was wrong. After watching few of his dramas & movies, I realized he a quality to stay long in this industry because he is such a wonderful cameleon - he can pure yet cheeky, be cold yet warms up a room with his smile and serious yet comical. Great qualities as an actor. All the best to Lee Jong Suk and we fans will definitely support him all the way to the top! Fighting! OMG Doctor Stranger is my favorite-- my heart melts when seeing him in those surgery sterile scrub performing surgeries. So handsome and cute. To me-- i can't even tell that lee jong suk is acting-- that's how good of an actor he is. Continue the great work. Looking forward to watching many more. I am from the Philippines my name is Desiree Macabulos. I've watched your drama i here your voice and Pinocchio. i really interested with his personality based on his interview.i Hope me met each other and i want you to be my best friend even if we are opposite nationality. i know it is impossible for me but i don't want to lost hope...i like u not because u are handsome i want you because you are honest and truth to your life...i hope we met each other..please continue on the ground of you attitude...oppah can we be friends :) saranghe oppah fighting! I really really like you,, when you come to indonesia? i watch your drama Doctor Stranger and Pinocchio.when i first saw you in Doctor Stranger, my heart was melt.and then i watch all of your drama and you're really awesome!!!! !and i really want your autograph!!! hope we meet soon.love you forever.i'm your no.1 fan. "Oppa Saranghae"
its love at first sight .. your the very first actor that i really admired in my entire life .. i wish to see you .. :'( .. God Bless on your career .. He is opened and honest. Wishing you be a real actor my shining star. Love you. LEE JONG SUK IS BAE <3 hahaha for the first time I got really interested in korean dramas specially when I got to see the movie W gosh it was so great. 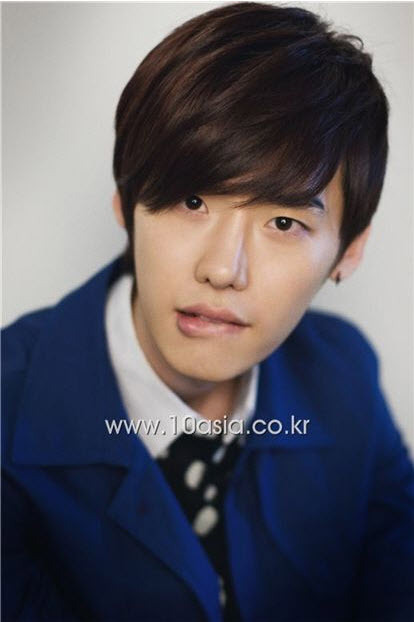 If it wasn't because of my friends i wouldn't addicted to Lee Jong Suk. His the one who made me love Korean Dramas and I'm really thankful for that. I wish that someday when I have a job and I have a money I would really love to visit in Korea and hope to see you that is one of my goals to be achieved. But since I live here in Philippines and particularly still a grade 9 student I'am really eager to see you soon... For me your the most handsome boy I've ever seen and the best actor too which I've seen so far. The wait was worth it because every drama I saw you in is excellent and memorable. Even my daughter who only likes to draw would watch dramas with you in it. Your such a talent Mr Lee :) you are charismatic and all. W is such a beautiful one (it made me cry and Gigle at the same time) you give justice to your role (Kang Chul) I salute you. Reading through this in 2018, my heart melts. This interview was when he's not famous yet but now he is one of the most popular hallyu star. Thumbs up for my love, you did a great job! I am so proud as a fan. Keep up the good work and please don't change stay as sweet and cute as you are right now. 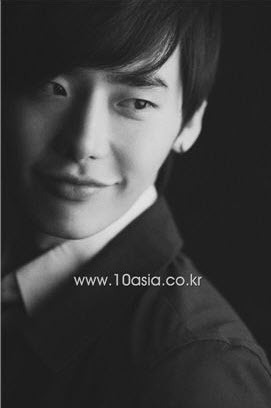 Saranghae Lee Jong Suk.